When we're not making new law by winning cases for our clients, the attorneys of Ramsay Law Firm are working behind the scenes and keeping an eye on potential new laws that could impact our clients. 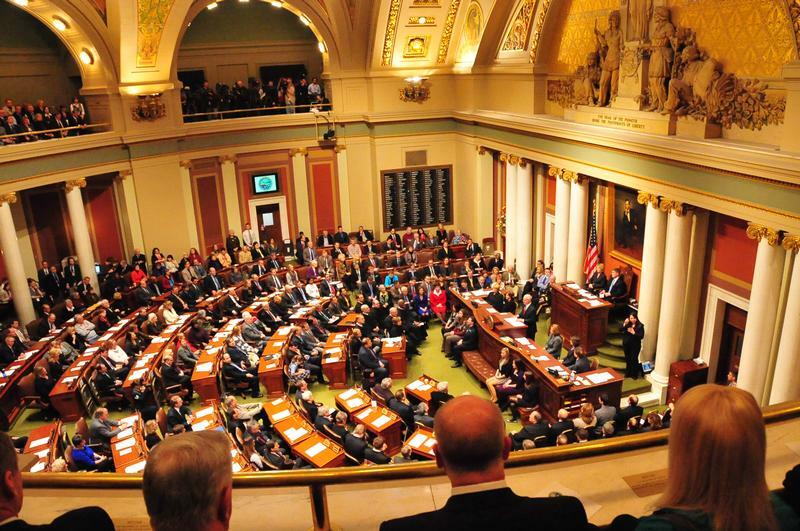 The 2018 Minnesota Legislature has a lot on their plate, and some of it is targeted towards DWIs. Civil Asset Forfeiture: There is a hard, bi-partisan push to eliminate civil asset forfeiture in Minnesota, streamlining the forfeiture process while adding many long-overdue protections for innocent owners. Currently known as HF 3725, this bill would correct many of the problems with Minnesota's current forfeiture laws. It would eliminate the "policing for profit" aspect of our current forfeiture laws, where law enforcement actually profit from taking stuff. It would also (finally) provide real protections for innocent owners -- people who were not committing any crimes and yet stand to lose their property to the State. There is even more protections baked into this new law, but these two big pieces will go a long way towards solving a lot of the problems with our forfeiture laws and keep us from having to involve the courts in striking these laws down one piece at a time. Driving With Dust-Off: the Minnesota Supreme Court recently took a look at Minnesota's sometimes-vague DWI laws and determined that they did not actually criminalize driving while under the influence of substances such as "Dust-Off." The Legislature had two options they could use to respond -- either add "Dust-Off" to the list of hazardous substances (and why wasn't it there already? ), or come up with something convoluted and unnecessary. They chose option two, because of course they did. HF 3479 seeks to completely eliminate driving under the influence of a "hazardous substance" as a crime entirely . . .and create a new crime for driving under the influence of an "intoxicating substance." Sounds pretty innocent, until you look at the new definition of "intoxicating substance," which is so broad that it covers things like caffeine and tobacco. Seriously -- it's any "drug or chemical" that impacts "audio, visual, or mental processes." If this law passes, it may not last too long before being struck down as unconstitutionally vague. Snowmobiling Privileges: Currently, getting a DWI while in a motor vehicle will result in a loss of driving privileges, while getting a DWI on a snowmobile will cause you to lose your snowmobiling privileges. The new HF 3924 eliminates that distinction, meaning those convicted of driving while impaired will also lose the ability to operate snowmobiles or ATVs for a year. Ignition Interlock: Drivers who lost their license due to a DWI used to have to "sit it out," and wait one, two, three (or more) years before being allowed to legally drive. The State would provide a work permit, but that was it. Then things changed, and people had the option to either get a work permit, or go on ignition interlock and be able to drive anywhere, not just to work and back (as long as they had the interlock device installed). Then things changed again -- the State of Minnesota almost entirely eliminated work permits, leaving interlock (and its monthly fees) as the only way to legally drive to work during a revocation period. While they were at it, they made it mandatory to be on interlock -- you could no longer "sit it out" and wait for a couple years to get your driver's license back. Here comes more changes. Under HF 3726, the State is looking to make ignition interlock mandatory for many DWI offenders. That means that if they don't have a car, or can't afford interlock, these drivers will never get their license back. None of these bills are actually laws yet -- they need to work their way through the various committees, get voted on, and then get signed by the governor. They could all be amended between now and the end of the session, or they could just get buried. But knowing what the future may hold is the first step towards preparing for it, and keeping tabs on new bills is a pretty big part of living in a democracy. We'll keep you posted.